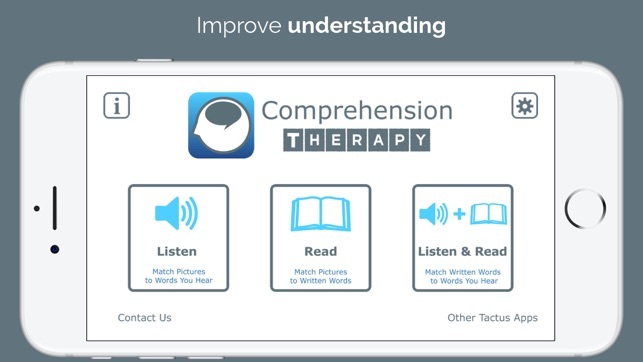 Comprehension Therapy is a professional speech therapy app that targets auditory and reading comprehension of single words in 5 languages. Designed to help people with aphasia and cognitive deficits from stroke and other brain injuries, it is also a valuable tool for older children with special needs including autism. 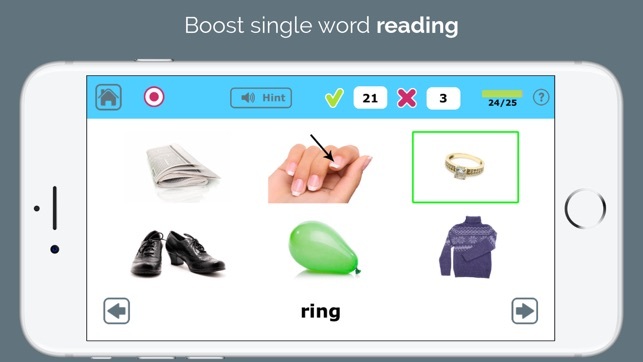 3 user-friendly modes include Listen, Read, and Listen&Read to target individualized goals. 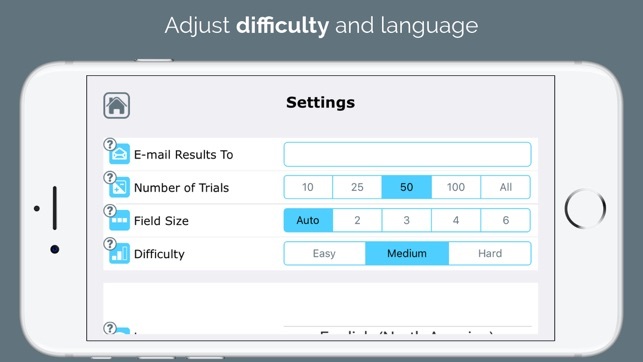 The app automatically adjusts difficulty based on performance, allowing for independent practice. Built-in scoring, hints, and a results summary that can be e-mailed to the therapist in report format make therapy easy! Over 500 nouns, 100 verbs, and 100 adjectives are paired with full-color photographs, recorded voice, and clear text for hours of therapy. You can add your own images too! All Tactus Therapy Solutions Apps participate in the 50% off Volume Purchase Program, so talk to your school about buying in bulk! This app collects NO personal information, has NO in-app purchases, and primary links to outside pages can be deactivated. 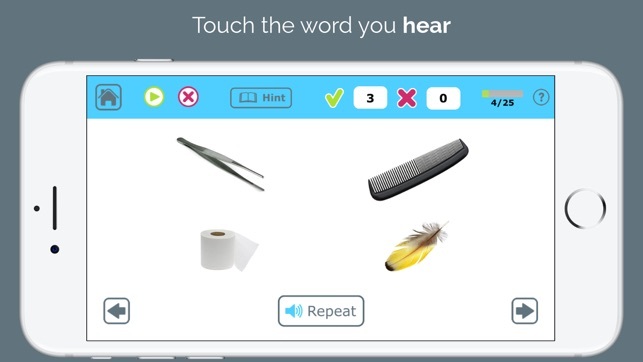 This application offers speech therapists a "go-to" tool when working with aphasic patients, and patients with receptive difficulties. Pictures are clear, easy to see, and functional. It offers a range of levels of difficulty (i.e., easy, medium, hard), as well as, options related to field size in order to simplify or complicate the task. The app also provides the option to quantify the number of trials of the desired task in order to allow consistent data collection. Another bonus is the data collected from the task can easily be saved or emailed to a specified account in order to allow easy tracking of progress. Affordable expansion packs provide verbs and adjectives. Only request I have, is that the SLP could choose what category the pictures used come from (i.e., all food or all transportation or mix categories). Great job! Looking forward to Expressive TherAppy release. More functional than carrying card decks! In the acute care setting, we don't often have the time to complete full standardized testing with our patients. This app not only is able to help me assess patient's functioning level, it helps me do it in several languages. No longer do I have to rely on my elementary bi-lingual skills. As if that's not enough, the app completes the evaluation write up for me! It has been a huge time saver for me personally. Our department is now looking at purchasing an iPad specifically for the TherAppy apps. I also strongly recommend this to patients following discharge for carryover activities. By having them email me the summary, I can evaluate progress without having to see the patient. I've used this app with pediatrics, adults, and geriatrics. Across the board, the most common response is "More iPad, please!" 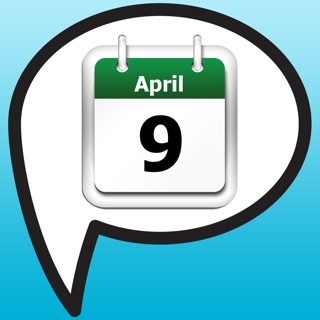 I use this app as an SLP in the schools. It’s very flexible so it can be adjusted for each student according to need and is also nice for probing receptive vocabulary skills. The pictures are high quality photographs of FUNCTIONAL vocabulary. The options for customization include difficulty, number of trials, child-friendly, and field size. Data collection is included and can be emailed to track progress. 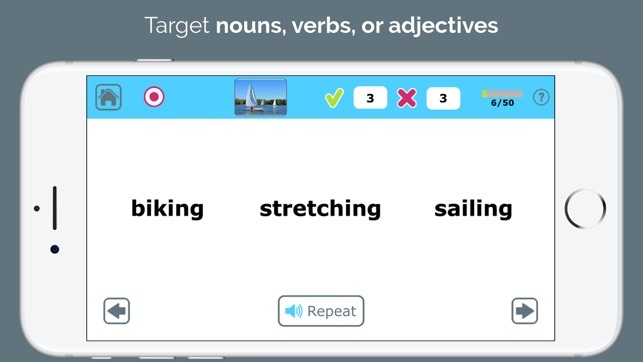 There are no longer in-app expansion packs available for verbs and adjectives...even better...since the last update, they are included! 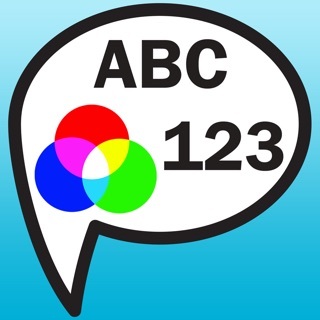 This is a nice app for SLPs in school or medical seeting. © 2011 - 2018 Tactus Therapy Solutions Ltd.